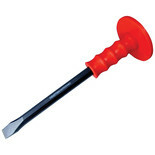 Ideal for general brick work these bolster chisels are made from drop forged, carbon steel; induction hardened with a heavy duty protective grip. 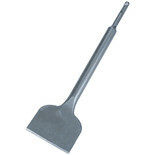 Flat Cold Chisel - Model number CHT321. 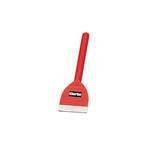 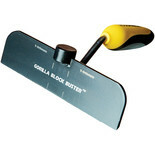 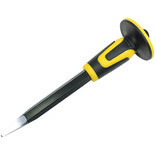 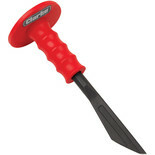 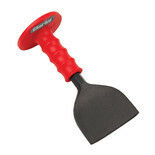 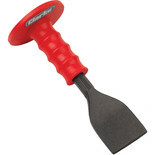 250mm (10") Plugging chisel - A key tool for removing masonry from brickwork prior to repointing or removal of a brick. 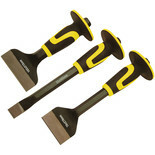 This Roughneck 3 piece chisel set features three robust chisels with gripped handles and guard for added safety while using. 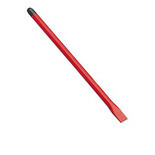 The Roughneck concrete chisel is 300mm in size and features a heavy duty grip with guard for increased control and safety while using.